It’s February, time to think about spring planting here in the Pacific Northwest. The risk of frost is still everpresent, which simply means we can start plants in the greenhouse. 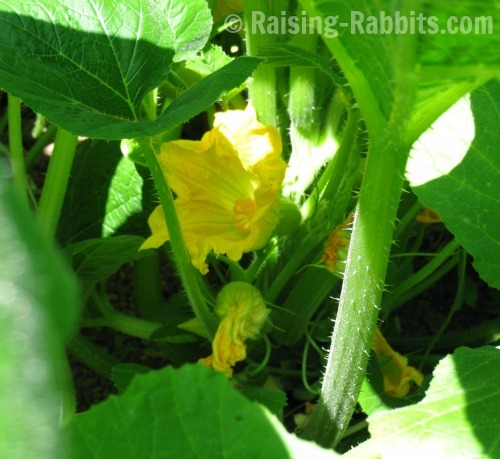 To do this, we use bunny berries mixed with garden soil in order to start the seedlings. Don't discard your brown gold! Rabbit manure, otherwise known as bunny berries or brown gold, can be a nutrient goldmine for your flower or vegetable garden! Organic matter invigorates the soil under our feet. The soil is already full of animal-based debris, dead and living worms, nematodes, bacteria and more, which is why plants can grow and produce. Rabbit manure is wonderfully potent - it is chock full of living and dead organisms - a perfect source for nutrients that growing plants need. According to Rise and Shine Rabbitry: "One doe and her offspring will produce over one ton of manure in a year. Rabbit manure is packed with nitrogen, phosphorus, potassium, minerals, and lots of micro-nutrients, plus many other beneficial trace elements such as calcium, magnesium, boron, zinc, manganese, sulfur, copper, and cobalt to name a few. Dairy Cow - 0.25 - 0.15 - 0.25"
Rabbit manure can be added to the garden when it dies back in Autumn in preparation for the spring planting season. It can also be blended fresh with topsoil and used to start your garden seedlings early. 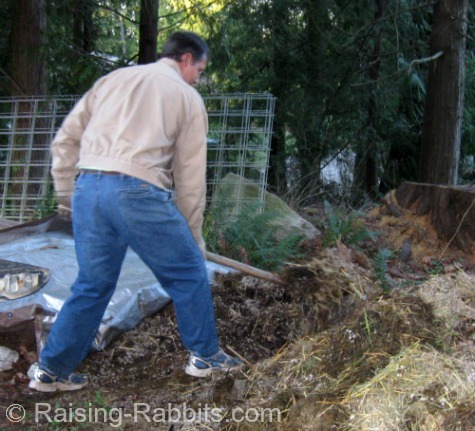 That’s the joy of rabbit manure - the ability to use it fresh when you need it. It is a cold manure, meaning it can be applied directly to the soil around your plants, if needed. We can happily announce that the second editing run of our Storey Publications book is finally complete! Our book, tentatively titled Rabbit Raisers Problem Solver, is expected to answer nearly every conceivable rabbit-raising question that a pet-owner or breeder could possibly uncover. Believe me, it answers more questions than we ever thought to ask, but by now we have ourselves experienced most of the circumstances in our barn at one time or another. We’d like to add an apology to our kind e-newsletter subscribers for the late delivery of this edition of the Rabbit Rhythms ezine. We hope to compensate you by previewing snippets of the book with you before its actual publication date. Plus, we’ll offer a special discount to our ezine subscribers as a thank you for your patience and loyalty! Are your bunnies missing the fur on their tails? "Two Californian 5 week old bunnies have LOST THE FUR ON THEIR TAILS. No mites, no scabs, nothing - nothing at all wrong with the rabbits, except their tails suddenly have no fur. Are they molting?? I can't find info on this ANYWHERE. Help!" I’m guessing that these two bunnies are housed in the same cage?? And that there truly is nothing wrong with the bunnies! A likely scenario is that the two youngsters have each chewed off the fur from their own or the other’s tail. It could also be that they have also chewed off eyelashes and whiskers. There is no reason they should stop with the tail - you might start seeing patchy spots of fur on the rabbits’ bodies as well. I highly doubt a molt is the culprit - a molt in young bunnies usually does not start until they are 6-7 weeks old. A very common cause of fur-chewing is actually a need for improved feed, and especially additional fiber, according to Rabbit Production (Cheeke et al). 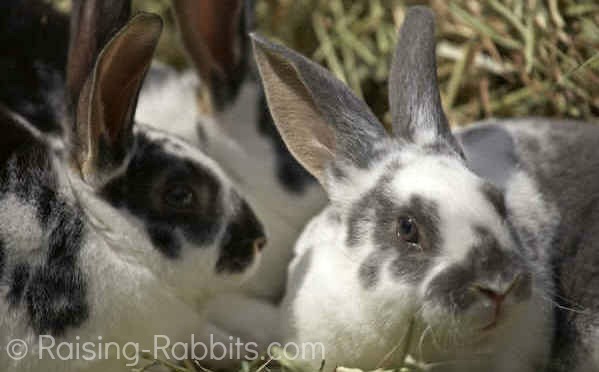 Try free-feeding the bunnies with pellets and additionally adding plenty of hay or straw to the cage each day. Alternatively, cut a branch from a safe-to-eat tree, and add a couple short lengths of branch to the cage. Not only do branches offer fiber, it will also entertain the bunnies for hours, relieving the second possible cause of fur-chewing - boredom. One last solution is to offer the rabbits some green feeds such as fresh-picked dandelions or rabbit-safe weeds. Go easy for at least a week until you’re sure the bunnies won’t develop diarrhea. The fresh greens are likely to supply micronutrients that could be contributing to an unrecognized nutritional deficiency that is triggering the fur-chewing. Hopefully some combination of these tips will solve the problem! Anyone raising rabbits for any length of time, or any pet rabbit owner, is bound to discover an under-the-skin abscess in a rabbit. A staph skin infection or a Pasteurella multocida skin infection or possibly other pathogens can gain access to the skin tissue through a break in the skin and then encapsulate themselves under the skin. 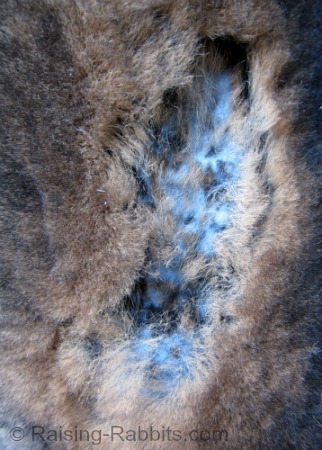 If the rabbit’s body cannot conquer the germs immediately, a growing infection will manifest itself as an enlarging pocket of pus known as an abscess. You’ll be able to feel the soft moveable lump under the skin. Learn more about abscess treatment here. Your friends at Raising-Rabbits.com wish you a wonderful February 2013.